FABRIC prices have spiked after government increased import duty on polyester in a bid to protect local industries, The Financial Gazette reported. Depending on the composition and type of fabric, the customs duty was increased to range between 10 percent and 30 percent, plus US$2.50/Kg. 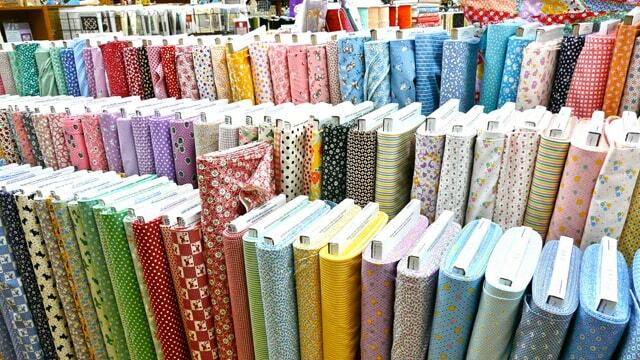 Taungana Ndoro, Zimbabwe Revenue Authority spokesman said: "…the duty on polyester fabrics increased after the promulgation of Statutory Instrument 163 of 2017, which came into effect on January 1, 2018." "This is besides the levying of value added tax at 15 percent," he said. Raymond Huni, Zimbabwe Textiles Manufacturers Association secretary-general, said the duty hike was based on an old statutory instrument that had not been implemented by Zimra. "Zimra has been sitting on legislation for polyester duty that it has not acted on," he said, describing the latest development as "good for the local textile industry". "We want to protect local industries from imports. Government agrees that the clothing and textile industry is the easiest to resuscitate. We have lots of companies that can produce polyester locally," he argued. Huni indicated that some of their members were sitting on huge amounts of yarn, which is used to make polyester. "We also have dye houses which have the machinery to make polyester and any fabrics in the country," he said, noting that these only required cheaper, loom-state imports. Loom-state refers to woven cotton fabric which is not yet dyed. But clothiers said prices of clothing - particularly school uniforms, work suits, jerseys and other related merchandise - have gone up following the duty raise about a fortnight ago. A tailor in Harare's central business district said the hike in fabric prices was so huge it had negatively impacted business. "I couldn't restock at my normal levels," said the tailor, who declined to be named. Fabrics importers admitted they had increased prices following the duty increase. "I think we need to increase our prices by about 200 percent to remain viable," said an importer, who also preferred anonymity.